OTTAWA -- Some Ontario craft breweries are opting out of the province's new buck-a-beer plan, arguing it would lower the quality of their beer and force them to pay their staff less. Ont. 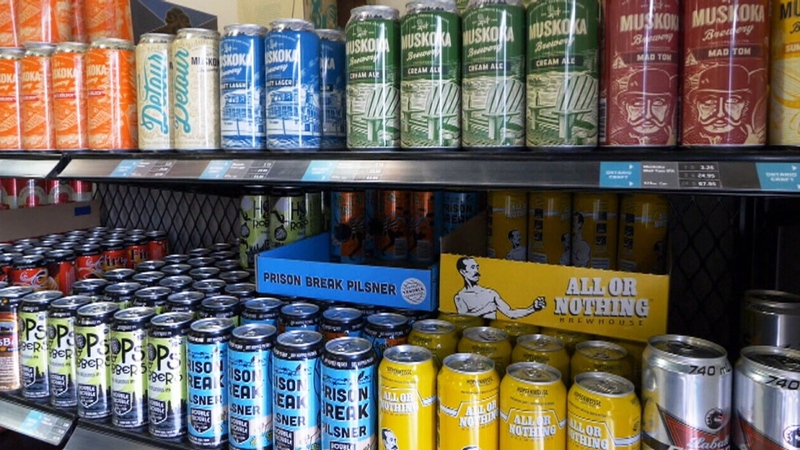 Premier Doug Ford announced Tuesday the province would decrease the lowest legal price to allow brewers to sell 355ml cans or bottles for a dollar a beer. The current minimum is $1.25. Dominion City Brewing Co., an Ottawa brewery, said on Instagram Wednesday morning that it will soon offer a Buck-a-Beer blonde ale. The beer will cost $3.55 for a 355ml can, but the company will donate $1 from each sale to support refugee integration efforts in Ottawa. "As an independently-owned brewery, we can tell you unequivocally that it is impossible to sell a beer for a dollar without compromising quality," Dominion City wrote. "So, we’ve decided to respond to Ontario’s buck-a-beer challenge in our own way - by inviting our customers to help refugees build a new life in Ottawa." Beyond the Pale, another Ottawa brewery, spoke to CTV Ottawa Tuesday night and promoted the interview using a #BuckOffFord hashtag. "Nobody was selling beer at the price floor when it was $1.25 and you know for the most part, none of the craft brewers are going to be selling it at a dollar now," the brewery's Rob McIsaac told CTV Ottawa. "At a dollar, we'd lose money on every can and that's why you see everybody's average price on craft can maybe around $3, $3-$4, and the reason for that is it's expensive to make beer, especially at a small scale like we do at Beyond The Pale." "I think we make some of the best IPAs in the province and we would never consider devaluing our product and our brand by selling it at a dollar." The breweries also noted their current prices support staff salaries. "We support living wages and fresh quality brews. So yah, we're out," Muskoka Brewery tweeted in response to a question. "This program just isn’t sustainable for us to continue to support quality and a living wage for our 130 team members." The Napanee Beer Co. says the policy's result is the government challenging small, family owned businesses to make less money for them and the people they employ. 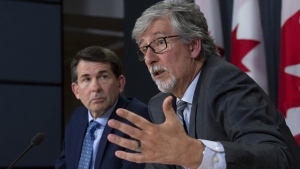 "Rather, how about examining Ontario's provincial beer taxes?" the company wrote in a post on its Facebook page. "Instead of #BuckABeer, let’s talk about #BuyLocalBeer, and support the hard working small breweries in our communities, rather than the Big Multinationals that already benefit unfairly in Ontario." Thanks! You can add us to the list. This program just isn’t sustainable for us to continue to support quality and a living wage for our 130 team members.